I wonder mamma…what if that was all you asked of yourself at the end of the day? Did you bring hope and peace to your home? A little bit of light? Make a memory? Did you notice something beautiful? Teach them how to see it? Did you show them grace? Teach them how to receive it? Or did you only notice what you didn’t do? I know you aren’t the mamma that you had hoped to be. But I gotta tell you, you probably aren’t as bad as you think you are either. And other mammas probably aren’t as great as you think they are. You need to ease up woman. Every time you let defeat win, you teach your children that you are a liar, that the ‘Overcomer’ is not living in you. I know you are tired. It has been a week hasn’t it? 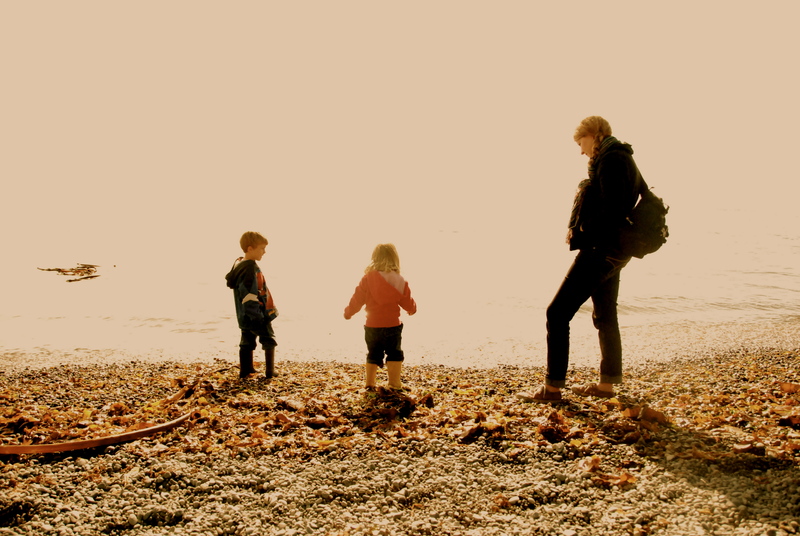 This motherhood thing is so much more than you ever thought it would be. “More” in every. single. way. More energy than you thought you had. More taxing than you thought possible. More rewarding than anything else you have ever done..
You know those moments? When you suddenly feel like you are having an out-of-body experience? When the world slows in love and you sit back and watch your own life and it is MORE than you thought it could be. When Joel is in the midst with the kids. Or when they both crawl quietly in your lap. When you breathe deep of their hair and read books together and the world turns into a rose-coloured television ad? Those moments happen because you are moving slow enough to let it. They happen because you allow the children time to do it. They happen because your expectations are quiet. It happens because they are the moments of Love and Light, not pressure and expectation. Take it easy will you? PS: Also, whatever you do…DO NOT forget that moment this week after you and the kids spent some time with the new beast on the deck and he shed his winter coat all over you. You said to the kids “we will have to change when we go in! Sam covered us in hair”. Your boy? Responded “YES…lets get naked just how I like it”. Or when the little girl, shouted from the basement in her ‘one of a kind accent’ that most cannot understand. But that YOU, YOU, understand every utterance she makes. Oh Meliss, I wish your stinkin’ blog would quit making me cry ugly cries. I love your mama heart. It speaks right to this mama’s heart — the one that is usually filled with so much guilt. Thank you for bringing a whole lotta light into my world tonight. I really loved this post. I am new to blogging and new to the UBP, but LOVE the idea of this kind of gathering! I look forward to hearing more from you! ohhhh i likey. I likey a lot. I love that you ask that qn of your boy, I need to do that with my brood instead of the usual after school interrogations. I’m digging this post. I wrote a letter to my eighteen year old self long ago. Funny how we stir things up with these letters. Good stuff going on here. Well said! Thank you for the timely reminder. I could benefit from reading and remembering this every day.